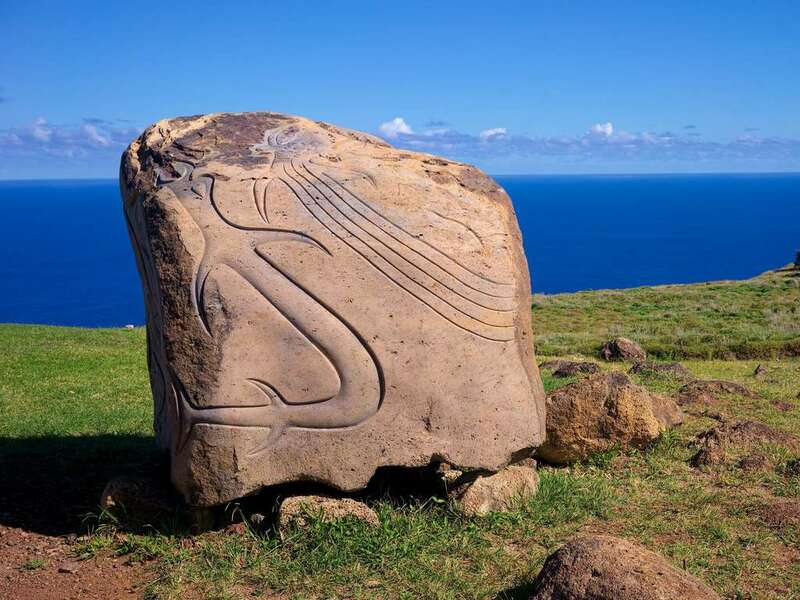 Come join us on a morning adventure exploring the volcanoes, caves, and petroglyphs of the famed birdmen of Easter Island. Our excursion begins with a visit to the Ana Kai Tangata cave, where legends of tribal cannibalism and picturesque views of waves crashing forcefully against the volcanic rock mesmerize. 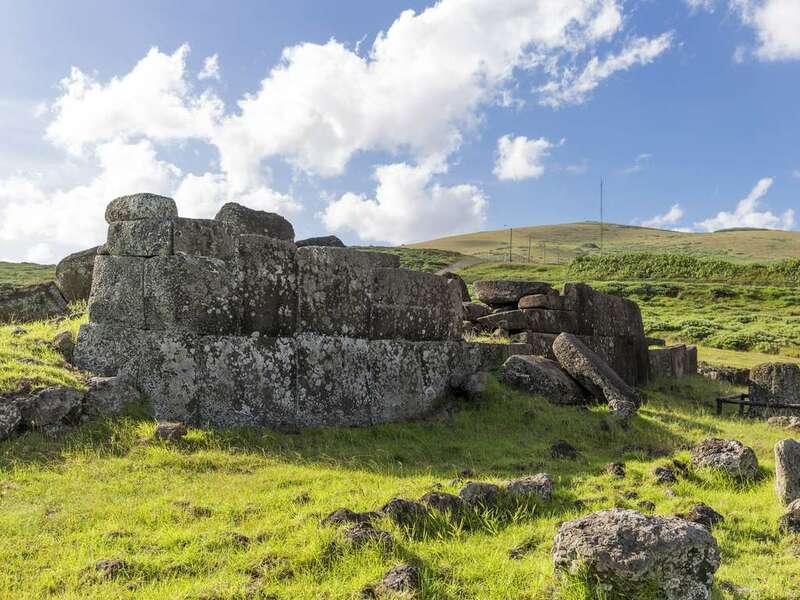 From here, travel to the nearly forgotten Moai figures of Ahu Vinapu, and marvel at the intricate stonemasonry work of the ancient Rapa Nui people. 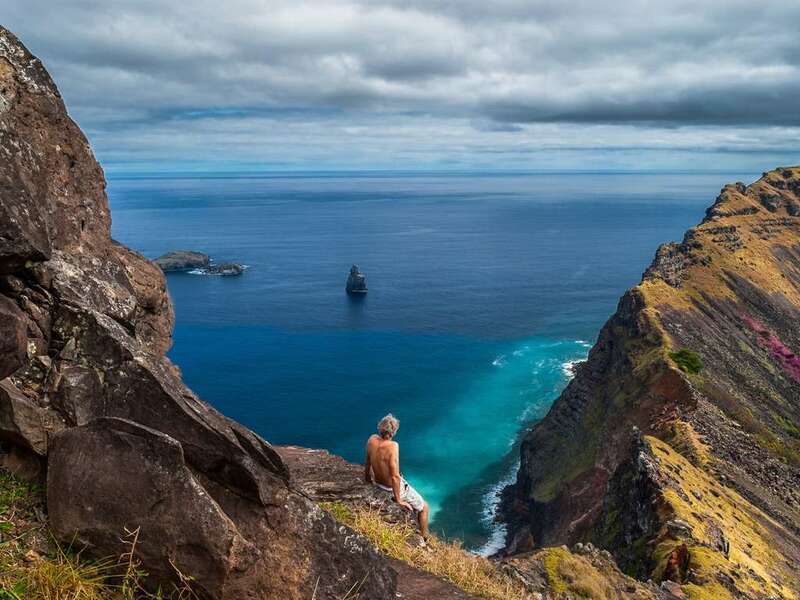 The island's volcanic properties are seen clearly with a visit to Rano Kau, an extinct Volcano housing a crater lake that is one of the island's only natural bodies of water. From here, take in breathtaking views of the island, while maintaining a sure footing atop the enormous ocean cliffs. 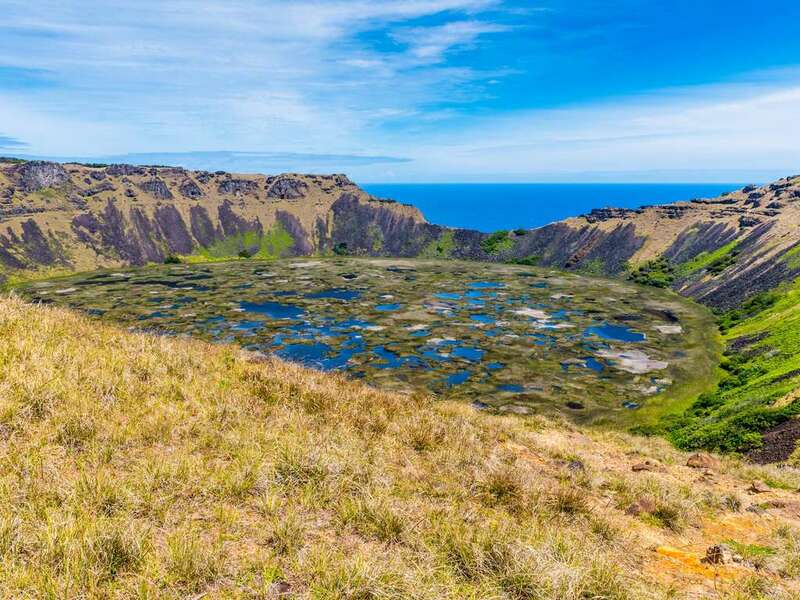 Our final destination of Orongo, a ceremonial village placed precariously in-between the cliff's edge and the volcanic crater, can be seen in the distance. Explore the small stone dwellings and petroglyphs that tell the story of the birdmen, a deadly ritual in which the men of the island would brave the raging Pacific and towering cliff wall for glory and prosperity. 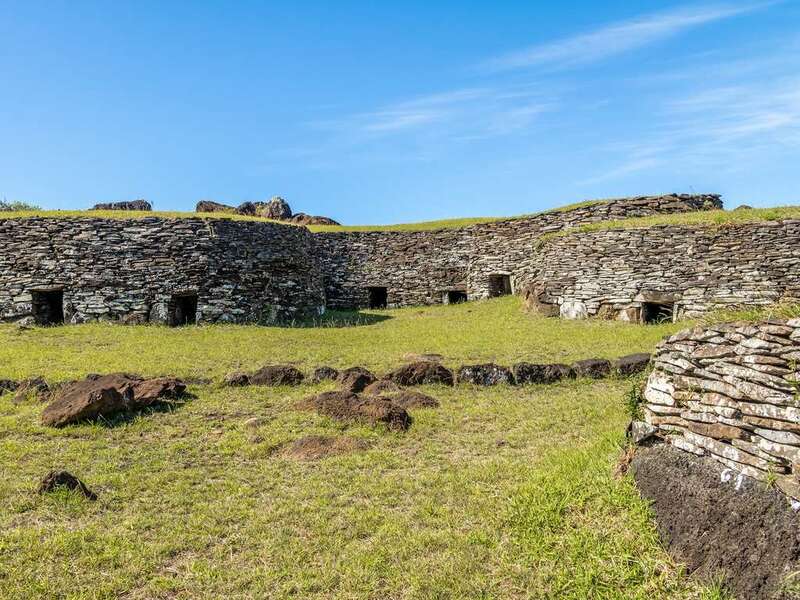 Learn how this remarkable competition preserved the island's resources and kept the peace of this small island intact.